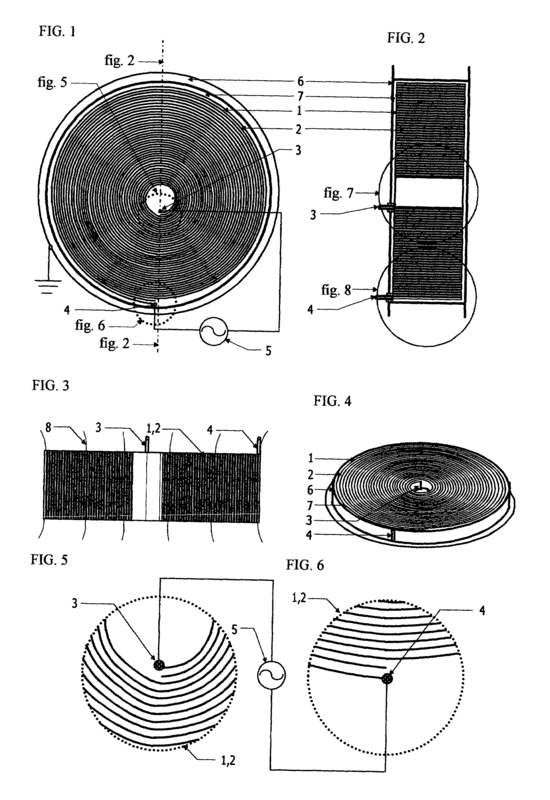 “The invention, Conducting and Magnetizing Double Spiral Capacitor-inductor, consists of two insulated, conducting and at the same time, at least one of them, magnetizing spiral bands or tapes that are spooled in interleaved fashion into a spiral disk or roll and connected galvanically onto two electrodes that are placed on the opposite ends of the bands, one on each. 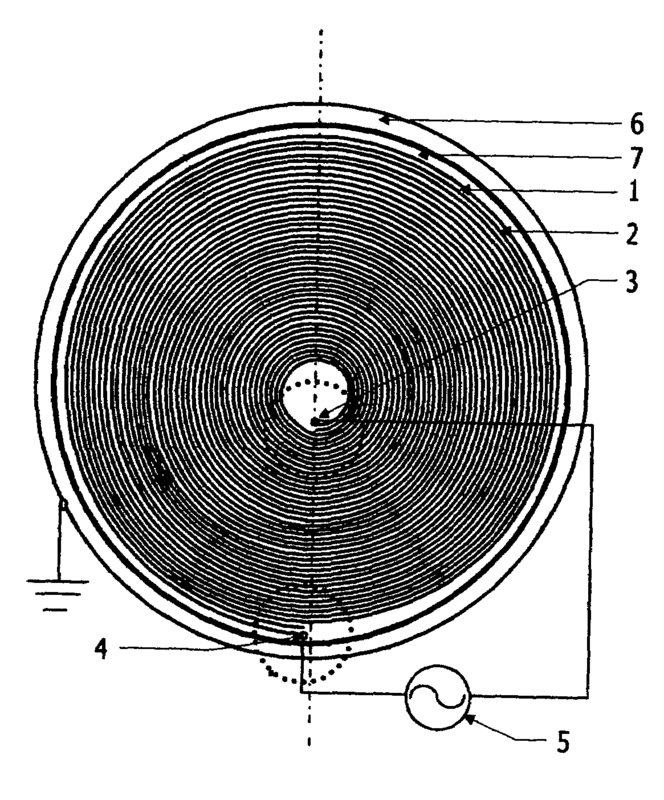 The bands constitute a capacitor-inductor, and the electric current is always flowing in the same direction in both bands when the capacitor is charged or discharged creating a magnetic field that is perpendicular to the flat sides of the spiral disk or roll and to the electric field that lies perpendicularly between the bands. 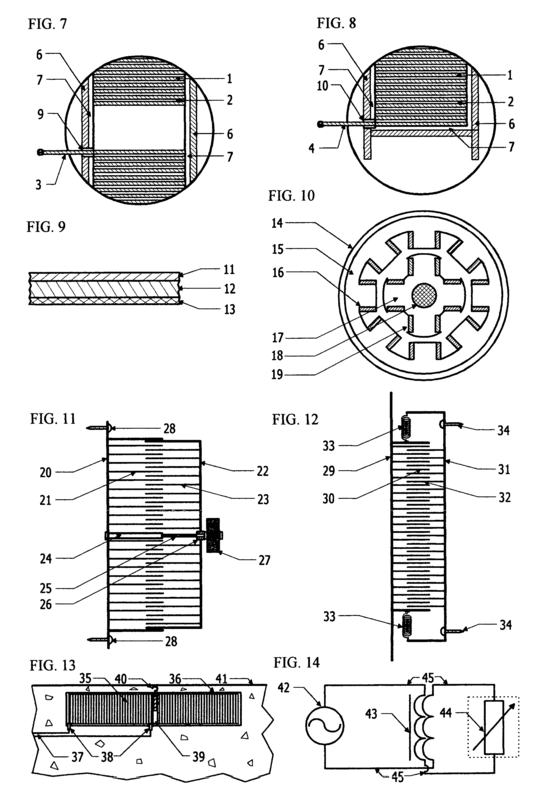 The otherwise free ends of the bands can be connected together with a fixed or adjustable resistive load to change the values of the device. This kind of combined capacitor-inductor can be used as a component in many electric apparatuses. This page was last modified on 11 September 2015, at 17:30.